AXS arm rest assembly. Arm rest assembly for use with AXS model, only. Axs lift chair. Meets or exceeds ADA guidelines. Semi-permanent installation via deck anchor with 300 lbs. lifting capacity. AXS full cover canvas. Full length, all-weather canvas cover for AXS model, only. Pool battery for all older models. 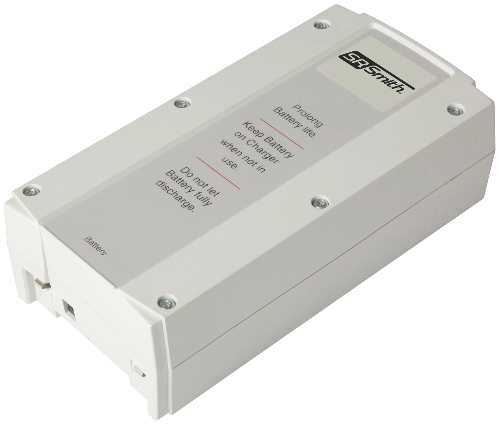 24-volt, rechargeable battery for use in all older S. R. Smith lift chairs. Arm rest assembly for use with PAL & SPLASH models. 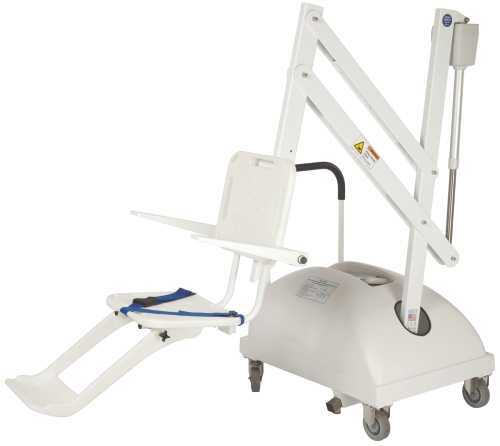 Pal hi/lo lift chair. A variation of the pal useful for facilities that have both inground pools and above ground spas. Pal full cover canvas. Full length, all-weather canvas cover for PAL model, only. 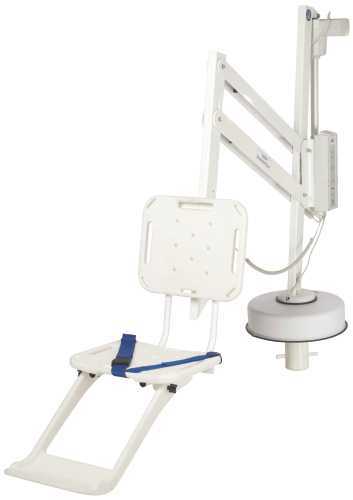 Pal spa lift chair. A variation of the pal designed for above ground pools and spas up to 48 IN. above the pool deck. 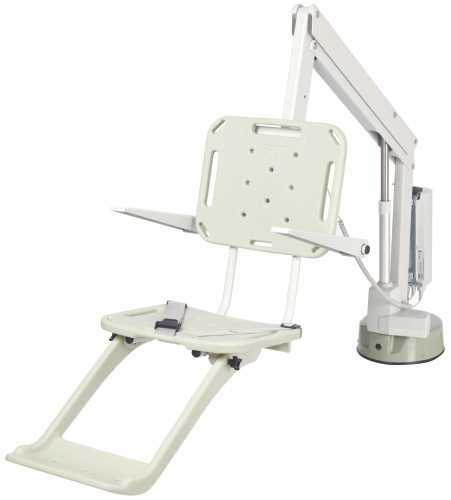 Pal-portable aquatic lift chair. Meets or exceeds ADA guidelines. Completely portable with 300 lbs. lifting capacity. Deck anchor with cap and key. 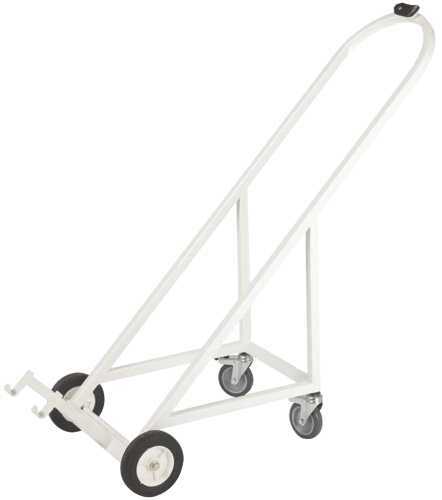 Deck anchor for use with all semi-portable S. R. Smith lift chairs. Splash aquatic lift chair. Meets or exceeds ADA guidelines. Semi-permanent installation via deck anchor with 400 lbs. lifting capacity. 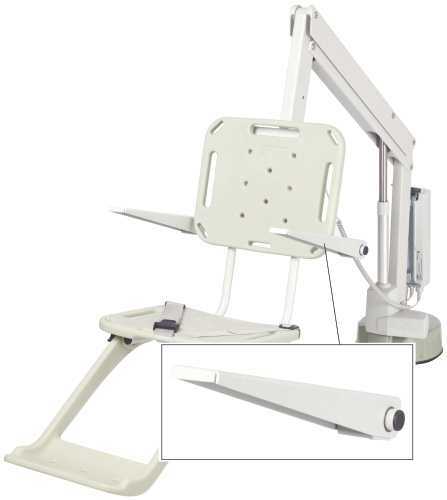 Splash hi/lo lift chair. A variation of the SPLASH! useful for facilities with both in-ground pools and above ground spas. Splash lift caddy. 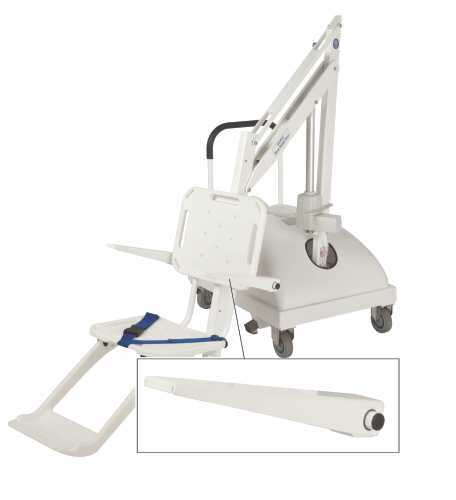 The caddy facilitates handling, transporting and storing a SPLASH lift chair. Can also be used as a storage rack. Splash full cover canvas. Full length, all-weather canvas cover for SPLASH model, only. Splash extended reach . A variation of the SPLASH! for use with pools with unusual gutter configurations requiring a longer reach. Splash spa lift chair. A variation of the SPLASH! designed for use with spas up to 48 IN. above the deck.